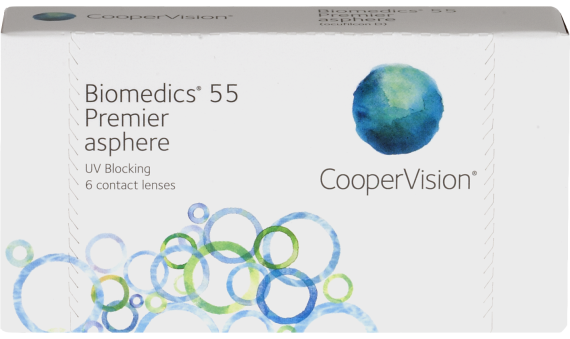 Biomedics® 55 Premier aspheric lens is designed to accurately control spherical aberration in the lens and your eye. Spherical aberration is the inability of a lens to focus light on a common point. 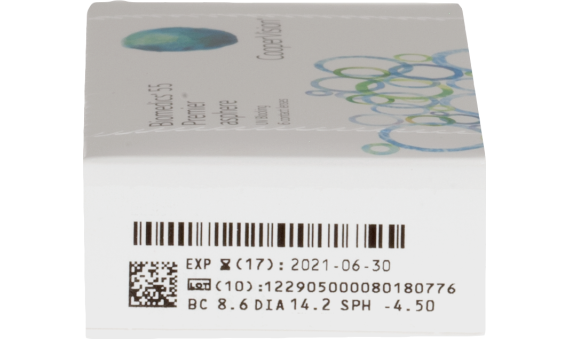 Biomedics 55 Premier contact lenses are able to focus the light, providing clearer, sharper image regardless of the amount of required correction. A thinner, patented edge design provides excellent comfort. Biomedics 55 Premier delivers the best vision possible in a 2-week lens designed for aspheric optical correction.